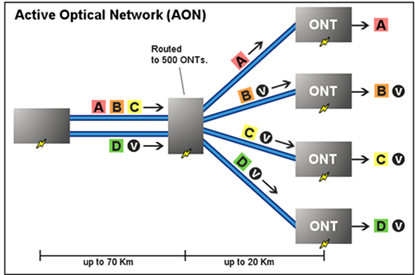 When choosing a best fiber architecture for the network, many planners may choose PON today. PON, short for passive optical networks, is a telecommunication network that uses point-to-multipoint fiber to the end-points in which unpowered optical splitters are used to enable a single optical fiber to serve multiple end-points. “Passive” means optical transmission has no power requirements or active electronic parts when the signal is going through the network. It is the core underpinning of fiber optical service. 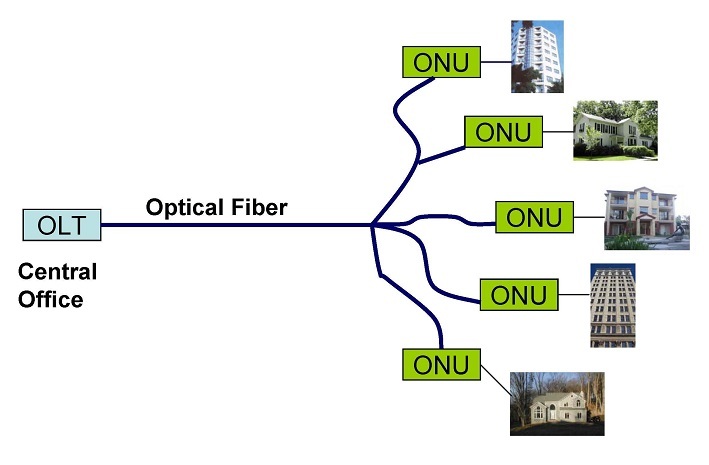 Passive optical network is widely applied in fiber-to-the-curb (FTTC), fiber-to-the-building (FTTB), or fiber-to-the-home (FTTH), which is decided by the places it terminates. Commonly, it is made up of an optical line terminal (OLT) in the central office and a number of optical network units (ONU) near end users. From the picture below, we can get a brief understanding of the working process of it. First and foremost, the data or the signals in the central office will be transmitted over a single optical fiber without interfered by each other, because encryption can prevent eavesdropping. And then the passive splitter will separate the signals into several optical network units which can be up to 64 units. The first PON systems which is based on Asynchronous Transfer Mode (ATM, or “cell switching”) were called “APON”. It has been achieved significant commercial deployment and still be applied in someplace today. 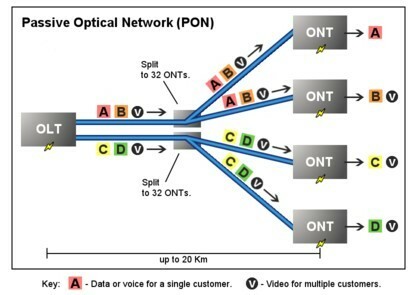 The “Broadband PON” comes after APON. Typically, these two systems both have downstream capacity of 155 Mbps or 622 Mbps and upstream capacity of 155 Mbps. And as the technology advanced, there is a growing requirements of higher capacity. As a result, APON and BPON is gradually replaced by GPON. GPON, short for Gigabit-capable passive optical network, is the successor of APON and BPON, and also based on ATM transport. Typically, its capacity of upstream ranges from 622 Mbps to 1.25 Gbps, while the downstream capacity ranges from 622 Mbps to 2.5 Gbps. In today’s fiber-to-the-home (FTTH) networks, GPON is most widely deployed, which is generally considered suitable for consumer broadband services for the next 5 to 10 years. 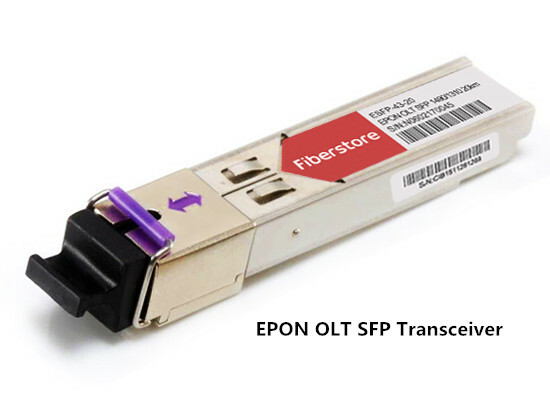 EPON (Ethernet passive optical network) is the rival of GPON, using Ethernet packets instead of ATM cells. It is cheaper to deploy than GPON, but it has not garnered the level of acceptance of GPON. And WDM PON (wavelength-division multiplexing passive optical network) is a network that combines WDM technology with PON system. It can use wavelength-division multiplexing to split each signal into different branches. Compared with the traditional enterprise network, PON network is obvious superior to it. And there are several advantages of PON. Energy savings – PON system does not need rack mount switches and other active devices in remote locations so that it can reduce a number of heat generating devices that must be cooled and powered, thereby generating energy savings. Also, there are reduced HVAC (Heating Ventilation Air Conditioning) requirements, since there is no radiant heat with fiber cabling. Lower cost – Due to lower power consumption, reduction in floor space, and yearly reduced maintenance costs, the enterprise will realize significant operational expense savings over the life of the system of 45-70% over that of a traditional copper based system, as well. Optimized bandwidth utilization – with dynamic allocation of bandwidth, the system can provide optimized network connectivity to those application and users requiring the greatest bandwidth, while facilitating future proofing. Now, the Ethernet market becomes more and more popular, so PON is gradually getting into a bright future. With these significant advantages, PON can meet the changing demands of the enterprise network more quickly and easily. And at present, the most popular network systems are GPON and EPON. Fiberstore offers various PON products, including optical line terminals and optical network units, and if you want to deploy your network most efficiently, Fiberstore is your best choice. This entry was posted in FTTX network and tagged optical line terminal, optical network units, passive optical network on August 25, 2015 by Admin.